Complete set of 1964-1965 definitives. ST VINCENT. Mint, never hinged. Complete set of 1964 definitives. ST VINCENT. Mint, never hinged. St Vincent 1974 set of 4 Churchill MHN. Locomotives, 1st series. Good condition set of St Vincent. It is the 1983, Leaders of the World set. Complete set of 1955 definitives. Full set in marginal blocks of 9. St Vincent. mint never hinged. 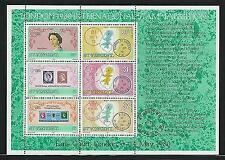 Here is a superb mint never been hinged set from the Grenadines of St Vincent of 1974 titled Bequia Island 1st series. ST. VINCENT 1988 SET, 400th ANNIV. OF THE ARMADA. ST. VINCENT 1988 SET, 400th ANNIV. OF THE ARMADA. . Dispatched with Royal Mail 2nd Class Letter. 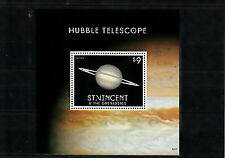 St Vincent 1955-63 QEII Complete set SG 189-200 Mnh. 1955 QEII Complete set. St Vincent. SG 189-200. Here is a superb mint never been hinged set from the Grenadines of St Vincent of 1982 titled Christmas. Here is a superb mint never been hinged set from St Vincent of 1977 titled Girl Guides. Here is a mint never been hinged set from St Vincent of 1979 titled the Soufriere Relief Fund. 1958 Caribbean Federation Omnibus issue. ST VINCENT. Three values in blocks of 4. 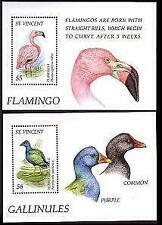 Full set in marginal blocks of 5. St Vincent. mint never hinged. St Vincent. Year of issue: 1949. 1949 set of 19 SG164-177. Condition: Mint Never Hinged (MNH). Occasionally we all make mistakes, and if we do we fix it. Price: £28.00. Era: King George VI (1936-52).